A 2015 graduate of Jesuit High School in Portland died after falling from a bell tower at Fordham University early the morning of April 14. 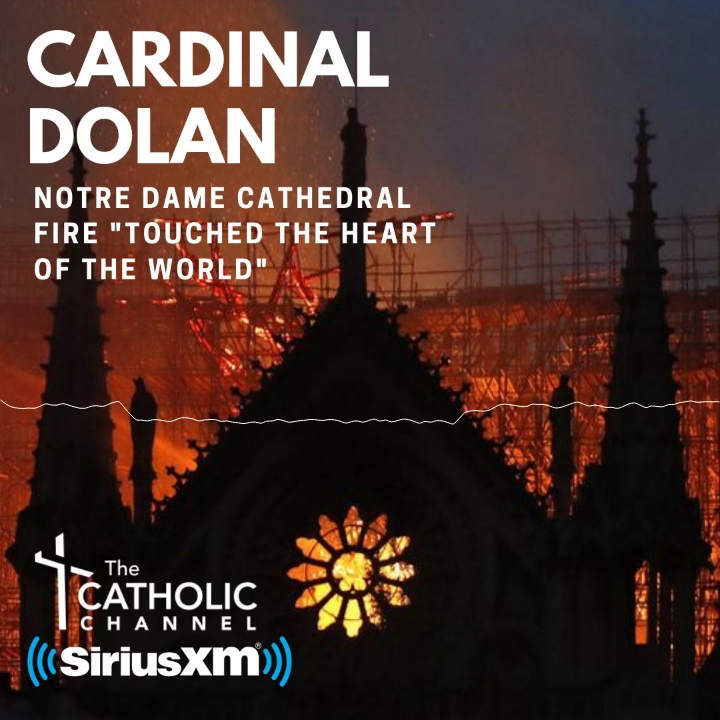 Four hours after an April 15 devastating fire broke out at Notre Dame Cathedral in Paris, Cardinal Dolan stood outside St. Patrick’s Cathedral speaking with journalists at a 4:30 p.m. news conference. Msgr. Kevin Sullivan, executive director of archdiocesan Catholic Charities, will embark on a mission of solidarity and learning to Honduras, Guatemala and El Salvador from Monday to Friday, April 22 to 26, to assess the status of immigration issues there. Jesus’ gesture of washing His disciples’ feet, an act once reserved to servants and slaves, is one that all Christians, especially bishops, must imitate, Pope Francis told hundreds of inmates and prison employees on Holy Thursday. A hero emerging from the Notre Dame Cathedral fire April 15 is Father Jean-Marc Fournier, chaplain of the Paris Fire Brigade, who is credited with saving a reliquary containing the crown of thorns and the Blessed Sacrament from the burning cathedral. The glory of God is not manifested with fanfare and applause but displayed through the love of Jesus’ sacrifice on the cross, Pope Francis said. Church leaders joined government officials in saying they expect that Notre Dame Cathedral’s grandeur will be restored as firefighters extinguished the last flames of a fast-moving blaze that seriously damaged much of the iconic structure. A major blaze engulfed the iconic Notre Dame Cathedral April 15, sending pillars of flame and billowing smoke over the center of the French capital.